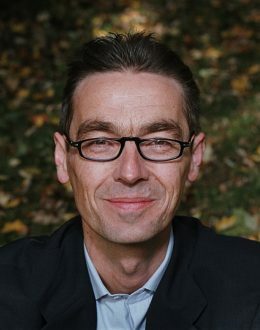 Dr. Claus Otto Scharmer is a Senior Lecturer at the MIT and the founding chair of ELIAS (Emerging Leaders for Innovation Across Sectors), an initiative focused on developing profound system innovations for a more sustainable world. ELIAS links twenty leading global institutions across the three sectors of business, government, and civil society. He chairs the MIT IDEAS program and co-founded the Global Wellbeing Lab. He also is a visiting professor at the Center for Innovation and Knowledge Research, Helsinki School of Economics, and the founding chair of the Presencing Institute, a research initiative on developing and advancing social technologies for leading innovation and change. Scharmer has consulted with global companies, international institutions, and cross-sector change initiatives in North America, Europe, Asia, and Africa. He has co-designed and delivered award-winning leadership programs for client organizations including DaimlerChrysler, PricewaterhouseCoopers, and Fujitsu. He is the author of numerous articles and books, including Theory U: Leading from the Future as It Emerges (2007) and Presence: An Exploration of Profound Change in People, Organizations and Society (2005), co-authored with Peter Senge, Joseph Jaworski, and Betty Sue Flowers. Scharmer holds a Ph.D. in economics and management from Witten-Herdecke University in Germany. In 2015 he received the Jamieson Prize for Excellence in Teaching at MIT.